In this previous blog post, I listed 10 great reasons to read my book. It is filled with science-based knowledge and advice that can help you. Why did a company pay $720 million dollars for a sirtuin activator and then ask for their money back? If you have two copies of the telomerase gene, you are normal. 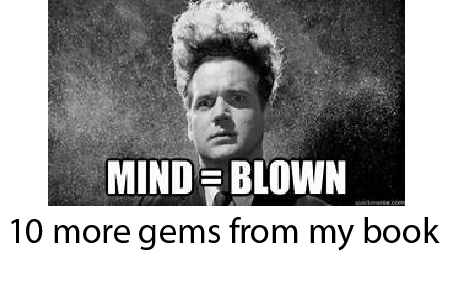 If you have one, why do you die of old age as a teenager? The endocannabinoid system triggered by marijuana mimics two natural hormones we produce when we are happy. What is the role of telomerase activators in this? What is an “emotional meta tag” and why it is the foundation of every single thought and experience that you have? Excess exercise can cause “Fatigued Athlete Myopathic Syndrome”. The mechanism is excessive muscle stem cell depletion faster than the telomeres can be extended. All foods are fine and that eating a calorie of sugar is more fattening than eating a calorie of pure fat! I hope you will consider reading my book. I promise it is not simply a regurgitation of group think but rather a science-based and useful primer on how to understand and master your own physiology and life. 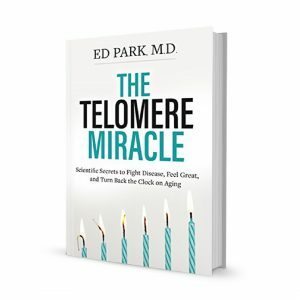 Read The Telomere Miracle: Scientific secrets to feel great, fight disease, and turn back the clock on aging. This book is phenomenal! I’m currently working on a book review and summary for The Telomere Miracle on my YouTube channel which I will produce & upload shortly.